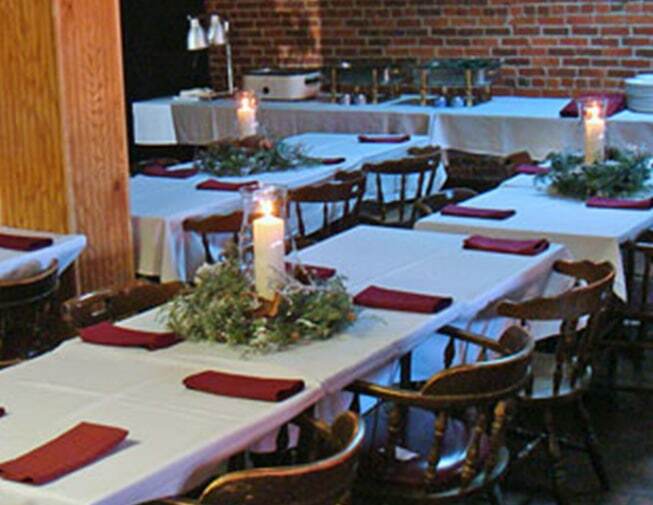 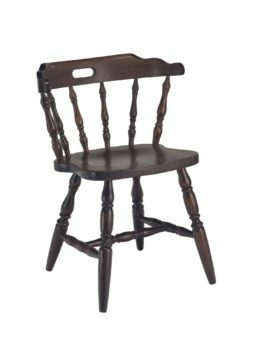 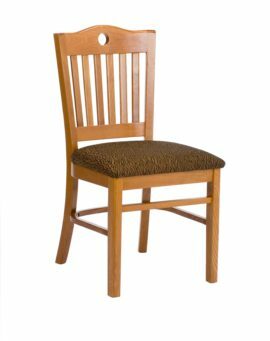 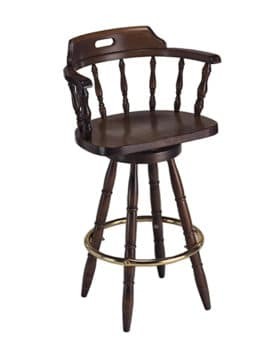 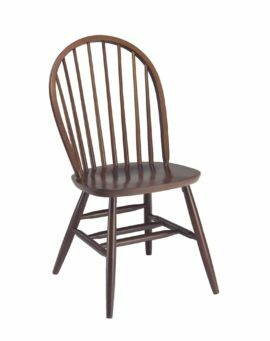 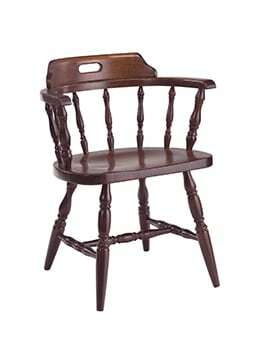 Colonial Captains Spindle Back Chair – Model 85 – Restaurant Chairs by M. Deitz and Sons, Inc. 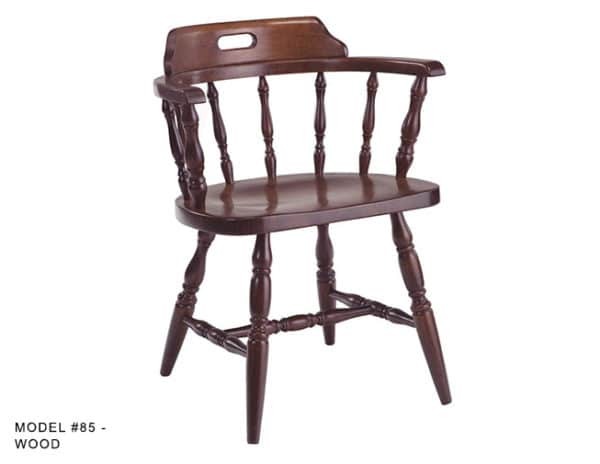 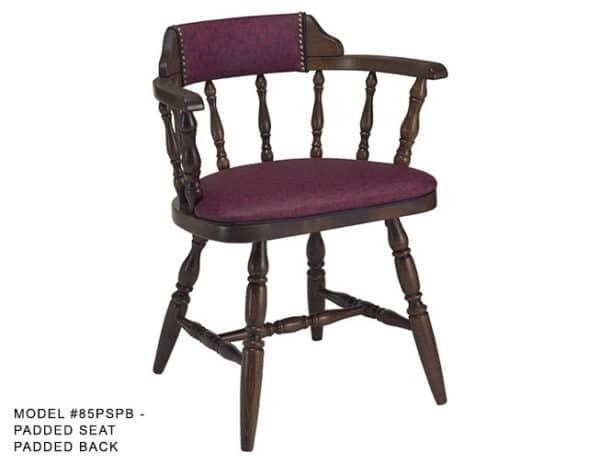 This traditional Colonial captains all Wood Chair has full arms and a comfortable over-sized seat. 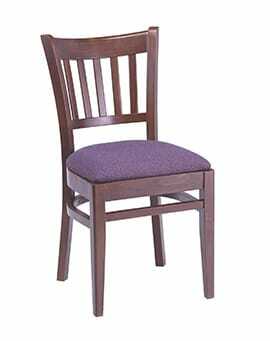 Built from the ground up for use in most commercial applications. 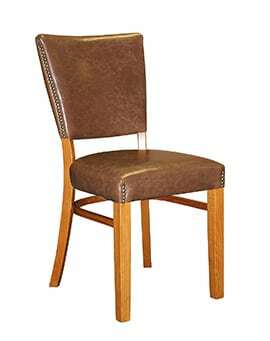 All joints and leg supports are hand glued, re-enforced and the wood is available in our maple and walnut finishes. 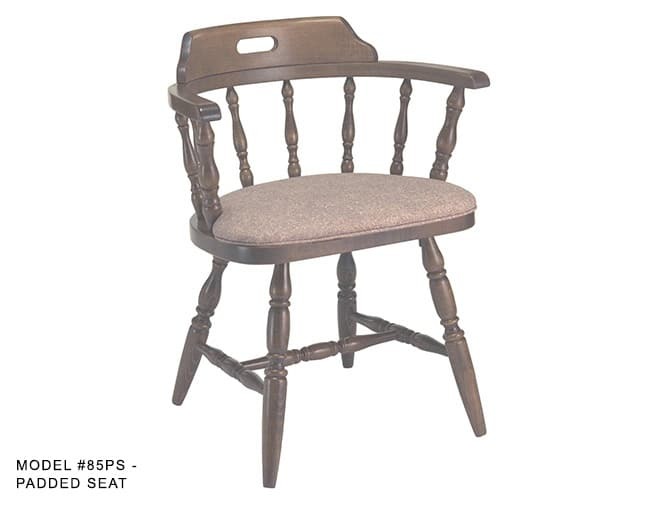 Available with a wood seat, padded seat, and padded seat and backrest. 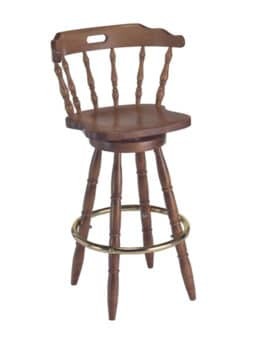 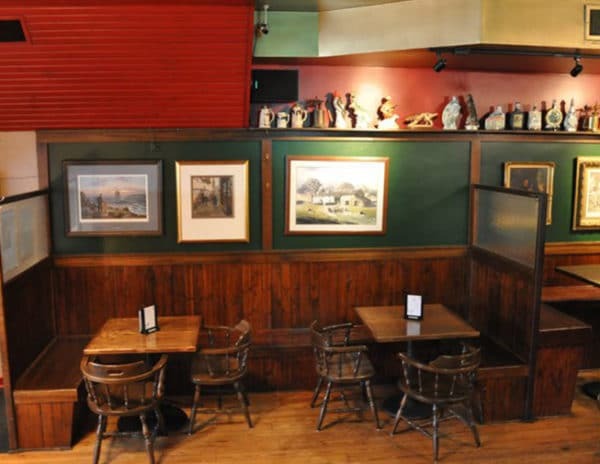 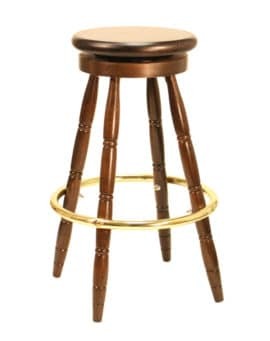 Matching mates chair and bar stools are available.